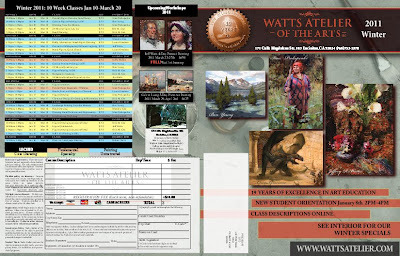 The new Watts Atelier schedule is out. Some points of interest, from my point of view, are the figure painting and character design classes I am teaching. Click here or the image below, give it some time it is not a small file. Cool, thanks. Just to note two drawing classes are colored as painting classes. "Hands,feet, drapery" and "Drawing facial features"
I miss the Watts Atelier. The BEST art instruction I have ever had.